H enry, congratulations on a wonderful debut. I haven’t had such fun reading a book in a long while. And thank you for taking the time to do this inverview. Let's get right into it! JC: You attended workshops at the fabled Clarion West. Can you share something about writing or the business of writing you learned there? I’m asking because asking you is the closest I’ll ever get to Clarion West. hell-bent on succeeding as a writer to justify the investment in myself. However, there are other ways to do that. One size does not fit all. 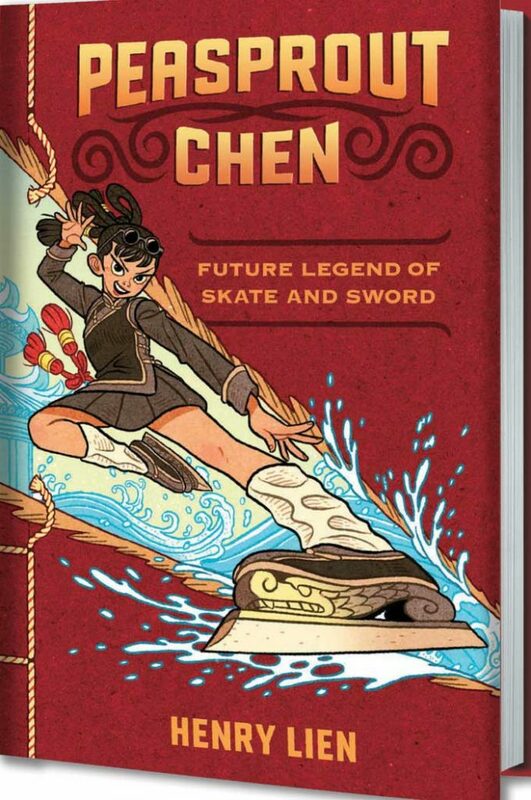 Now, I’m going to contradict what I said above by pointing out a couple of things I learned at Clarion West that helped me in writing PEASPROUT CHEN, FUTURE LEGEND OF SKATE AND SWORD. George R.R. Martin, Chuck Palahniuk, and Kelly Link helped me on the background stories and sample chapters that served as the foundation for the novel. They were all incredibly enthusiastic and supportive about this project but they also gave me some things that helped me in the writing of the book. George said that the only thing worth writing about is the human heart in conflict with itself. I really embraced that advice tightly in writing the book. 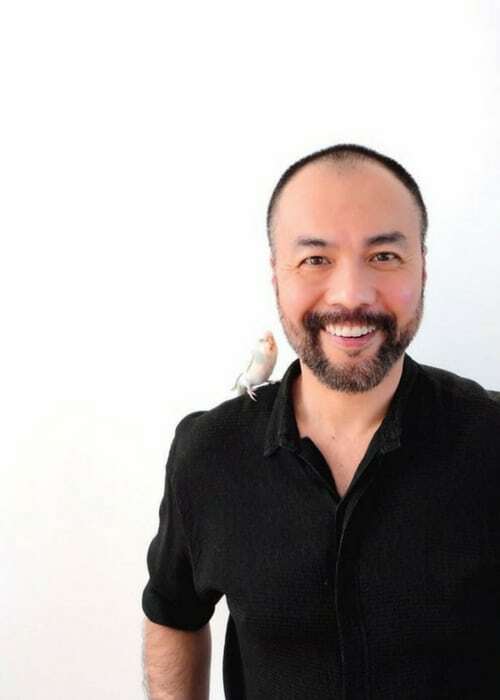 Chuck is a master of voice and he loved how I merged voice and plot. Voice is plot if they are done well because your character ends up taking actions that only she could make and sending the story in directions that feel inevitable and believable given the main character’s personality. Kelly was in some ways no real help but in other ways the best help possible because she read the first four chapters and said, “Not one misstep. Not one misstep in what you’ve written so far.” That was powerful affirmation. I’m sure that this is all going to sound nauseatingly self-congratulatory when I read it over but I’ve taken a vow not to edit anything I write in response to your questions, so you’re getting blasted with 110% candid responses. JC: Tell me how you invented the sport of wu liu. Was that before or after you knew about Elvis Stojko? I just have to give a shout out to a Canadian star of ice skating. HL: I didn’t know about Stojko and his martial arts practice before writing the book and I’m glad I didn’t! I just put together everything I was most interested in at the time, art house martial movies, figure skating, and architecture, and mashed them all together into one convenient hybrid. Also, I always felt like figure skating and kung fu were kindred sports. I’d never seen the forms mixed together, but I could picture them in my mind and I think other people could, too. It’s one of those concepts that can be summarized in an elevator pitch that instantly communicates itself and manifests as a little movie in people’s minds. I can see it in their eyes when it’s happening and it’s a delight. That is one sign of a good concept. It felt like those two forms were waiting for hundreds of years to be blended so I blended them. My finger is hovering over the delete button for fear that that last sentence sounds conceited, but I took a vow not to censor. JC: I love how ice skating is so integrated to everyday life in the city of Pearl. I read in one of your interviews that you created Pearl as your personal theme park of the mind (or something along those lines). But you’re not a figure skater? HL: I took figure skating and kung fu lessons as research for the book. I was appalling at both. You can read my account of this training and laugh at my woe here: Ice Skating, Kung Fu, and Writing! Despite this farcical tone, this account is 99% true! This was actually enlightening though because it taught me that these two sports rewarded balance, flexibility, and the ways that girls’ and women’s bodies are built, more than brute strength. This made me realize that the invented sport of wu liu and the city created for the sport had a huge girl power subtext buried in them. That transformed the book and the worldbuilding with regard to how/why this art form was invented. It made me reflect on how women might have contributed to and changed the course of history in ways that aren’t celebrated in statues and plaques and I took that and ran with it hard in building the history of the city of Pearl. JC: You’ve written novellas and novelettes, and now a middle-grade novel. Which of those story forms do you prefer and why? HL: I like novelette length because the reading time approximately tracks the 90 - 120 minute run-time of the average dream cycle, so that length feels right on some primal species level. However, I don’t feel the forms really differ in my practice. They all encompass the same amount of real estate in terms of scope and emotional reach. You just have more luxury to investigate fine illustrations of certain things in the longer format, and I do love the details of worldbuilding. I haven’t approached writing them differently, though. I’ve also encountered surprisingly little resistance from my editor at Holt in terms of what I choose to write and I had to do blessedly little censoring to shade my writing for a middle grade readership. JC: Last question: What’s the one piece of advice you wish someone had given you, or that you had paid more attention to, when you first embarked on a writing career? HL: Don’t feel you have to hit some external benchmark by some arbitrary age to be “on schedule” to becoming a “real” writer. I didn’t start writing seriously until I was 42. But I’d built up a wealth of life experiences to draw on as writer for the second half of my time on this planet. I think it’s good to think of writing like philanthropy. I think it was Andrew Carnegie or Melinda and Bill Gates who said that you should spend the first half of your life amassing wealth and the second half giving it away. That was the approach I ended up taking to my writing. Really enjoyed this interview and especially the last comment on living fully. Thank you for the read! Thanks so much! Henry is so thoughtful and interesting. Glad you liked this blog interview.